Taylors, SC homes for sale are in a lovely part of Greenville County just outside of Greer, notably among the infamous foothills of the Blue Ridge Mountains. This suburban community is just ten minutes from downtown Greenville. People love living here because there’s an abundance of natural beauty throughout Taylors real estate, so much so that three State parks are in the area. 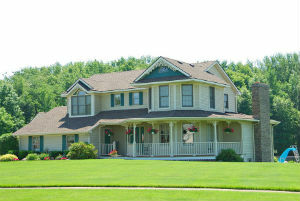 As for residential real estate in Taylors, there is a wide selection of homes to choose from. Entry level homes here are very affordable and a great place to look for your first home. Interested in learning about Taylors properties for sale? Read more or browse through some of the Taylors real estate listings below. 205 Properties Found. Page 1 of 35. Register with us to personalize your searches and to be notified when a home that meets your criteria becomes available. Taylors, SC real estate consists of many single-family homes and over one-third of the households have children living in them. What people really enjoy about this community is the amount of choice they have for different golf courses and country clubs. Taylors homeowner’s and residents have access to great city parks, urban lakes, the most notable amenity being amidst three of the best State parks in the Upstate. Homes for sale in Taylors range from modest ranchers to elegant estates and everything in between. The charming interiors feature fireplaces, spacious yards and new carpet. Additionally, the updated kitchens include stainless steel appliances, chic backsplashes and large kitchen islands. Buyers looking for an attractive country-style home with contemporary finishes will fall in love with Taylors real estate. Taylors is a special community, and the sub-communities within this neighborhood are really great. Some have their own welcoming committees, some designed to be so scenic that you feel like you're living in a park, and others have that little something that makes you want to come back. There's a good chance you'll find what you're looking for when you go to check out Taylors houses and properties, find out for yourself! Was there a Taylors home or property that you’re interested in already? Act fast and Contact RE/MAX Moves or call (864) 520-1000 today!